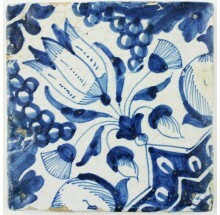 By the end of the 16th and the beginning of the 17th century, ornament Delft tiles were fashionable. 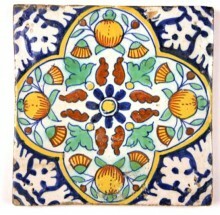 The tiles were often decorated with fruits and flowers. In combination with the colorful patterns the tiles made the ambiance of the houses during that time quite a bit brighter. 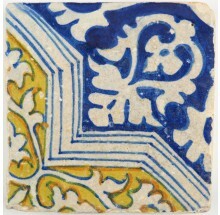 In many ornament tiles the rise and influence of Chinese porcelain is clearly visible. 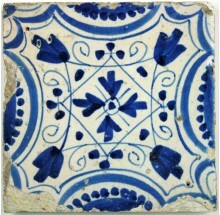 A trend that can be seen in many tiles and Delftware objects from that periode. Make sure to check out our available wall tiles in this category as well. If you have any questions about Delft ornament tiles, please do not hesitate to contact us. Click here to visit our contact page.